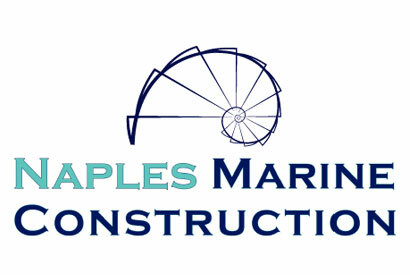 Naples Marine Construction offers a complete range of residential and commercial marine construction options. 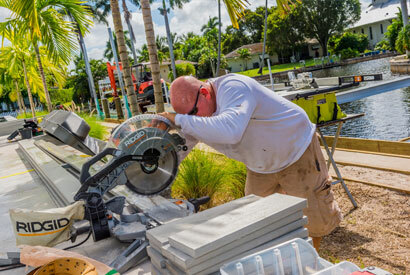 From repairing a few broken deck boards to helping you with the perfect dock design to constructing your dream waterfront environment, no job is too big or too small for our professional craftsmen. 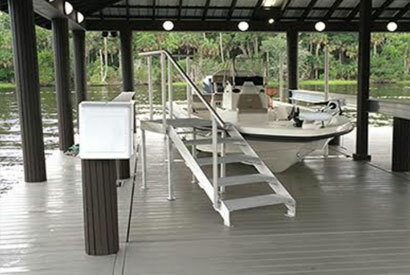 With Naples Marine Construction, your custom-built dock will not only provide a secure place to dock your boat or jet ski, it will also extend the usable living space of your property while enhancing the scenery of your view. There are a multitude of construction factors that must be taken into consideration: understanding “protrusion and side setback” limits, permit requirements, water depth and design limitations, and even potential EPA and Corp of Engineer guidelines. What’s better than having a boat dock in your back yard? 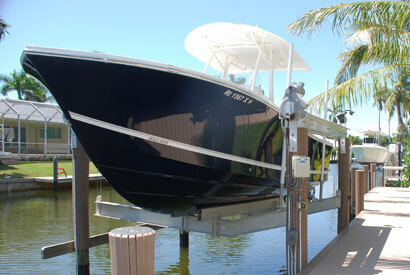 The answer is having a dock with a boat lift to raise your boat out of the water when not in use protecting your boat from growth and barnacles. We offer a number of solutions for erosion control and protection of your property. 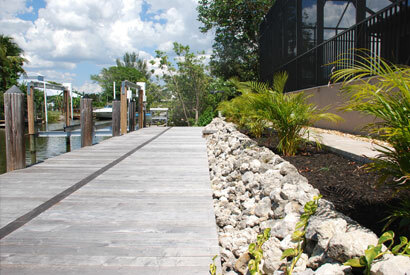 Our seawalls are constructed from high quality materials for the greatest sustainability. Options include concrete, vinyl sheet pile, traditional wood, and rip rap. One of the challenges of wood pilings in a marine environment is the deterioration of wood from the inside out at the tide zone level. 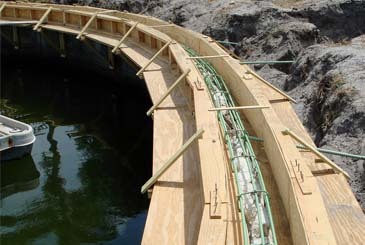 Marine boring organisms are generally the cause of destruction to unprotected pilings. 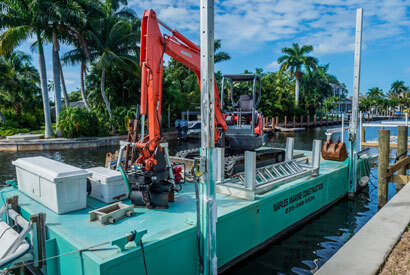 At Naples Marine Construction, we recognize that not everyone needs or wants a new dock. Sometimes, all you really need is to give your dock and lift a little TLC. 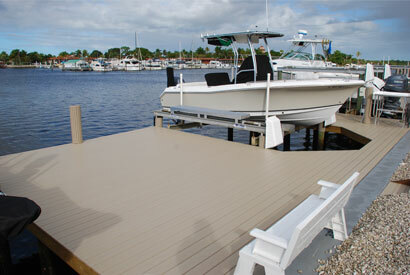 Our repair technicians are so good at breathing new life into aging docks; we call them “Dock-Docs”. 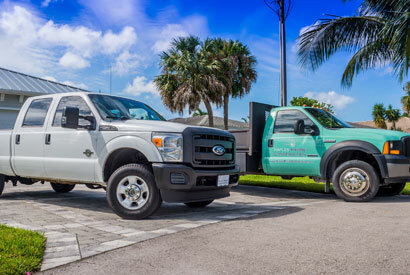 Naples Marine Construction recommends regular check ups for your dock, deck, pilings, and boat lift to ensure that they are safe, structurally sound and operating at peak performance. A properly executed inspection takes place both above and below the water.